Avail special deals on sending above Â GBP 10,000. Click here to know more. Remit2India offers fast, safe and easy way to send money to India from UK. Remit2India is the ideal way for transferring money from UK to India as there are no fees and money is transferred instantly. Send money instantly to India for family needs, investments, loan payments, buying property, etc. How to Transfer Money to India from UK Online? 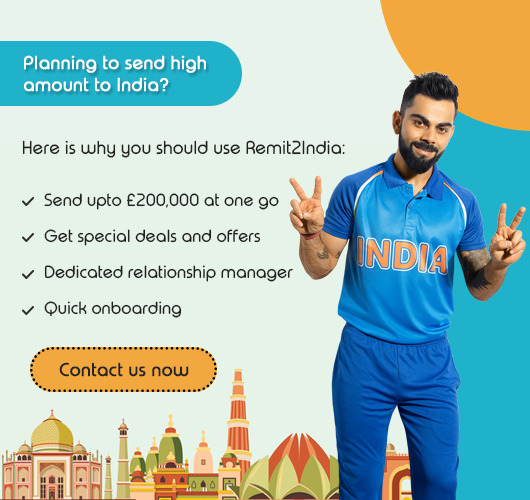 Transfer money to India from UK online instantly with Remit2India. With Remit2India, you can do free money transfer from UK to India as there are absolutely no fees charged for the transfers. Just choose the payment mode, select the recipient and click send. Money will be directly credited to the receiver’s bank account. 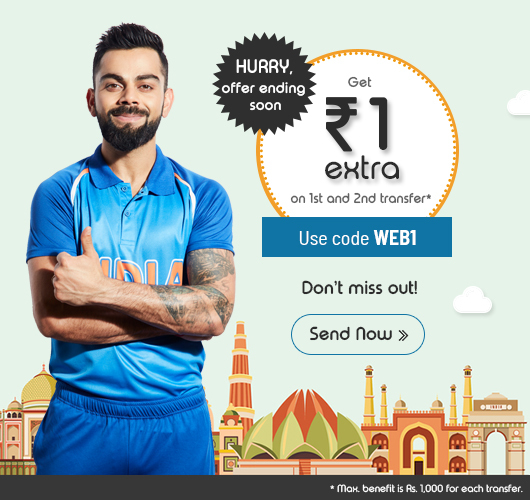 Remit2India provides multiple online options for sending money to India from UK. Select from Net Banking Transfer, Debit Card, Wire Transfer services depending on your requirement. Disclaimer: Remit2India services in the UK is offered by UAE Exchange UK Limited, a company authorised as a payment services provider by the Financial Conduct Authority (Firm Reference Number 504329), and having its registered office at 14-15 Carlisle Street, London W1D 3BS.